Guillermo Del Toro announced today that he is no longer directing the two movies based on J.R.R Tolkien’s “The Hobbit”, but will continue to co-write the screenplays. Out of respect to the legions of loyal Tolkien fans, both Guillermo and Peter Jackson wanted to break the news to The One Ring first. They are both committed to protecting The Hobbit and will do everything in their power to ensure the films are everything that the fans want them to be. 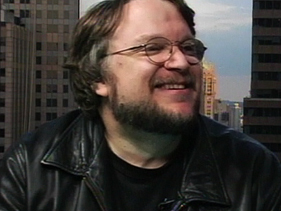 “We feel very sad to see Guillermo leave the Hobbit, but he has kept us fully in the loop and we understand how the protracted development time on these two films, due to reasons beyond anyone’s control – has compromised his commitment to other long term projects”, says Executive Producer Peter Jackson. “The bottom line is that Guillermo just didn’t feel he could commit six years to living in New Zealand, exclusively making these films, when his original commitment was for three years. Guillermo is one of the most remarkable creative spirits I’ve ever encountered and it has been a complete joy working with him. Guillermo’s strong vision is engrained into the scripts and designs of these two films, which are extremely fortunate to be blessed with his creative DNA”. The Hobbit is planned as two motion pictures, co-produced by New Line Cinema and MGM. They are scheduled for release in Dec 2012 and Dec 2013.